Bantwal, 10 Aug 2018: A pickup jeep transporting beef illegally was intercepted by police near Jakribettu leading to the arrest of two persons and seizure of 850 kgs beef on Thursady, August 9. Relying on definite leads the police intercepted the vehicle plying from Poonjalkatte to Mangaluru at Jakribettu. On inspection of the vehicle found beef in it. When the arrested were subjected to interrogation they revealed that the meat was being transported from Beloor to Mangaluru market without valid permission or documents. 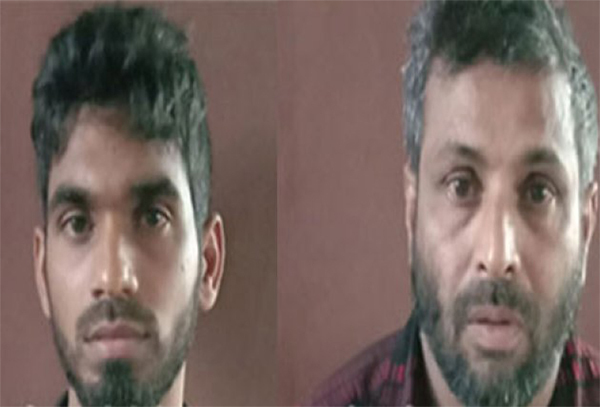 The operation was conducted by PSI Chandrashekar and Harish under the guidance of assistant police inspector Hrishikesh Sonavane Bhagavan and CPI Nagaraj. The operation also included staff Suju, Mallik and Niranjan. Bantwal town police have registered a case in this regard.